Installing and fabricating all natural stone and engineered material Servicing South Louisiana with quality work, Insuring our clientele their projects big and small are our top concern. We are a full service showroom offering the highest quality natural stone, porcelain, artisan tile, glass and mosaic products. US Stone Outlet is a self-owned and operated company located in New Orleans, Louisiana. At US Stone Outlet, you get to enjoy our large selections of solid wood cabinets and countertops. We have over 10 different RTA cabinets and over 30 different prefabricated countertops for you to choose from. 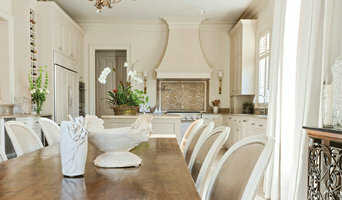 Need help remodeling your kitchen or bathroom? No problem, we provide a free service plan that will help you design the kitchen of your dreams! Free on-site measurement & free professional 3D design of your own kitchen! 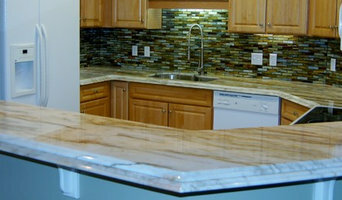 We offer several solid wood cabinets and countertops! All of our contractors have over 20 years of contracting experience!